That means we are in for a long day of golf on Friday! For those who did play on Thursday in the soft conditions, they were able to take advantage, hitting those crisp iron shots right on the distance they want into the greens, holding with little problem. Those who teed off early on Thursday really have the advantage going forward here. Just goes to show a lot of the time that it is the luck of the draw when playing a sport that hinders so much on the weather. Just 51 players completed their rounds. So who is on top? 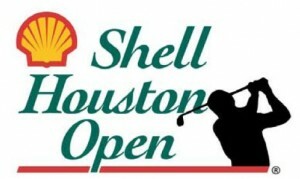 Angel Cabrera and Carl Peterson got it done early, shooting 7-under par rounds of 65 to open up the Shell Houston Open, holding a one-shot lead over Jeff Maggert and Ricky Barnes. Though Jim Herman is at 6-under through 15 holes. Most of those at the top of the leaderboard have already completed their rounds, with only two of those players in the top-10 or tied still on the golf course needing to complete their first round on Friday morning. Pre-Tournament favorite Lee Westwood was one of those lucky ones to complete an opening round, shooting a 4-under par 68 to get off to a good start. Then there is Phil Mickelson, who got through just three holes, but is already in red numbers at 1-under par. Obviously, the revised betting odds have not yet been formed, because we still have to get things wrapped up for the opening 18 holes. So we can expect those odds to be formed in between the two rounds tomorrow, and then again after the second round in complete should they be able to get it all in. We should see a lot take place tomorrow, with many players having to play 30+ holes. It’s what they live for though.